MI-Connection Archives · Stop the Cap! A North Carolina community concerned about alleged abuse of homeowners’ private property rights by Time Warner Cable has revoked all of the company’s easement agreements, exposing the cable operator to lawsuits from residents. 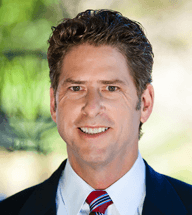 Mayor Miles Atkins observed Time Warner crews burying fiber optic lines on the property of local residents, well outside of the rights-of-way established by the local government along town-maintained streets. The Charlotte Observer reported Atkins also personally witnessed crews burying cables outside his home — on a street where there is no right-of-way for utility companies. Like many towns in North Carolina, Mooresville never established rights-of-way on older streets where above-ground utilities were installed decades earlier. Agreements with the owner of the utility pole governs the cables attached. In Mooresville, this generally includes electric, telephone, and two cable companies — Time Warner Cable and the community-owned MI-Connection, formerly owned by Adelphia Cable. Most rights-of-way and easement agreements in Mooresville cover buried cables. Mooresville senior engineer Allison Kraft notified Time Warner Cable that the town has revoked all of its easement agreements with the company until Time Warner can prove it placed its buried cables only within the approved town rights-of-way. If the cable company is found to have placed cables without permission on a homeowner’s private property, the resident can sue for damages and force the company to remove the offending line. One Mooresville resident was suspicious of the town’s motives, however. “I’m sure the town’s ownership of a competing cable company had nothing to do with their decision,” said Mooresville resident Scott Turner. But Charley Patterson is happy the town is taking action, suggesting utility violations of easement boundaries are rampant. One of the chairs of the North Carolina House Finance Committee abruptly resigned his chairmanship on the House floor Wednesday, submitting a letter read aloud in the chamber that accused fellow Republican House Speaker Thom Tillis (R-Mecklenburg) of having an unexplained business relationship with Time Warner Cable. 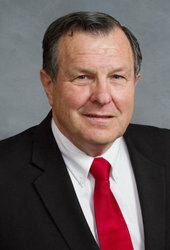 Rep. Robert Brawley (R-Iredell) wrote Tillis burst into his office demanding to know about a bill Brawley introduced that would have weakened the 2011 law Tillis strongly supported that severely restricted publicly owned broadband networks in the state. 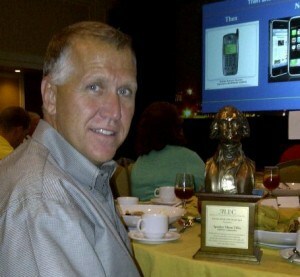 Tillis was honored in 2011 as ALEC’s “Legislator of the Year” and received an undisclosed cash reward. Time Warner Cable is a corporate member of ALEC. The bill died in the Committee on Government earlier this month. MI Connection is the publicly owned and operated cable and Internet system serving the towns of Mooresville, Davidson and Cornelius in the counties of Mecklenburg and Iredell. It was originally a former Adelphia-owned cable system that fell into disrepair before it was sold in a bankruptcy proceeding. MI Connection has proved financially challenging to the local communities it serves because the antiquated cable system required significant and costly upgrades, faces fierce competition from AT&T and Time Warner Cable, and lacks the technological advantage fiber to the home offers other public networks like Greenlight in Wilson and Fibrant in Salisbury. Despite the challenges, MI Connection has successfully upgraded its broadband infrastructure with the fastest speeds available in the area — up to 60/10Mbps. Tillis helped shepherd into law the 2011 bill that Time Warner Cable helped write and sponsor designed to stop public networks like MI Connection from expanding and new public networks ever seeing the light of day. The legislation places strict limits on public broadband network deployment and financing. The bill Brawley introduced would have chipped away at the law’s limits on network expansion. Brawley’s letter suggests Tillis had direct involvement stopping his bill from getting further consideration. Both Brawley and Tillis represent portions of the MI Connection service area. Time Warner Cable has a long history pushing for community broadband bans in North Carolina, but the bills never became law when the legislature was still in the hands of Democrats. But in late 2010, Republicans took control of the state house for the first time in more than a century. Time Warner Cable’s fortunes brightened considerably under Republicans like Rep. Marilyn Avila (R-Wake). Avila willingly met with Time Warner Cable’s top lobbyist to coordinate movement on the community broadband ban legislation she introduced and after it became law was honored by the state cable lobby at a retreat in Asheville. Tillis, who became speaker of the house in 2011 under the new GOP majority, received $37,000 in telecom contributions in 2010–2011 (despite running unopposed in 2010), which is more than any other state lawmaker and significantly more than the $4,250 he received 2006–2008 combined. AT&T, Time Warner Cable, and Verizon each gave Tillis $1,000 in early-mid January, just before he was sworn in as speaker on January 26. Tillis was in a key position to make sure the anti-competitive bill moved along the legislative pipeline. Last summer, Time Warner Cable returned the favor inviting Tillis to serve a prominent role at a media event inaugurating its Wi-Fi network in time for last year’s Democratic National Convention, held at the Time Warner Cable Arena. “Not knowing” is not a total denial and a legislator need not have direct ties to a company to be influenced by their agenda through lobbyists like the North Carolina Cable Telecommunications Association, the statewide cable trade association that includes Time Warner Cable as its largest member. Then there are third-party groups. A May 7 editorial in the News & Observer pointed out Tillis does have close ties to the American Legislative Exchange Council (ALEC), a group financed in part by Time Warner Cable and cited by CEO Glenn Britt as a useful asset to the cable operator because it was “particularly focused on telecom matters.” The commentary, “ALEC’s Guy is Thom Tillis,” reminded readers Tillis wasn’t just a casual member of the corporate-funded group, he’s a national board member. In fact, Stop the Cap! has learned he was ALEC’s 2011 Legislator of the Year. On hand at the 2011 New Orleans ALEC event to applaud Tillis were more than two dozen fellow North Carolina Republican legislators, including Reps. Marilyn Avila and Julia Howard. Among the model, corporate ghost-written bills ALEC maintains in its extensive database is one that restricts or bans publicly owned broadband networks, similar to what passed in North Carolina in 2011. ALEC, as it’s known, has provided language for bills that [have been] used this session in North Carolina, ranging from creating an independent board to take charter school governance away from the State Board of Education to protecting a Philadelphia-based company from lawsuits involving asbestos exposure to installing an anti-union amendment in the state constitution. Closer to home, the Civitas Institute, a conservative group, used ALEC literature in an indoctrination…er, training…session for freshman lawmakers. 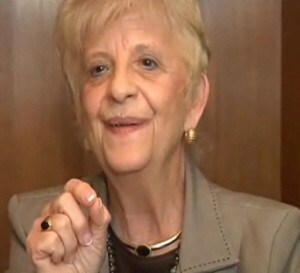 In 2011, life became uncomfortable for Rep. Julia Howard (R-Davie, Iredell), who became so upset over scrutiny she received from Raleigh’s NBC affiliate over the bill to ban community broadband, she threatened to flee the interview if the cameras were not shut off. Tillis is following in others’ footsteps and is suspected of having even bigger political ambitions for 2014 — challenging the U.S. Senate seat now held by Democrat Kay Hagan. For North Carolinians of any political philosophy, however, the larger concern here is that laws are being written by those outside the state with only an ideological interest. ALEC, except for advancing its agenda, likely could care less about issues specific to North Carolina, things of intense, day-to-day concern to North Carolinians. And not only are bills being influenced by ALEC, the speaker of the House is on the group’s board. Thom Tillis and his Republican mates on Jones Street weren’t elected to march to orders issued by some national organization. Perhaps if they kept their eyes and ears open for constituents, their legislative agenda might be more about them and less about doing ALEC’s bidding. Brawley himself is not free from controversy. In addition to attending the aforementioned ALEC event in New Orleans with Tillis, Avila, and Howard, earlier this year Brawley introduced House Bill 640, legislation that would roll back ethics reforms and allow lobbyists to once again give gifts to state lawmakers without any public disclosure. The laws were enacted after a major 2006 scandal involving then-House Speaker Jim Black. Corrections: In the original article, we mistakenly identified the News & Observer as a Charlotte newspaper. It is actually published in Raleigh. We also wrote that House Bill 557 died without being assigned to any committee for consideration. We received word the bill was actually referred to the Committee on Government on Apr. 4, 2013 where no further action was apparently taken. We regret the errors. A community-owned cable system that critics called “a municipal broadband failure” is proving to be anything but as it aggressively launches a broadband speed war and is narrowing its losses on the road to profitability. 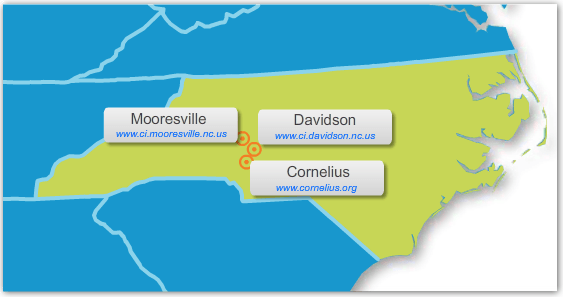 MI-Connection is the community-owned cable system serving Mooresville, Davidson, and Cornelius, N.C. Originally acquired in 2007 from bankrupt Adelphia Cable, MI-Connection has been a favorite target for municipal broadband critics who have painted the operation as an experiment gone wrong and a financial failure. But the system’s latest financial results and its forthcoming free broadband speed upgrades tell a different story. Warp Speed will be the fastest residential broadband available in Mecklenburg and Iredell counties. MI-Connection hopes accelerating improvements in broadband will also accelerate additional earnings. MI-Connection continues to earn the bulk of its revenue from television, with broadband and phone lagging behind. 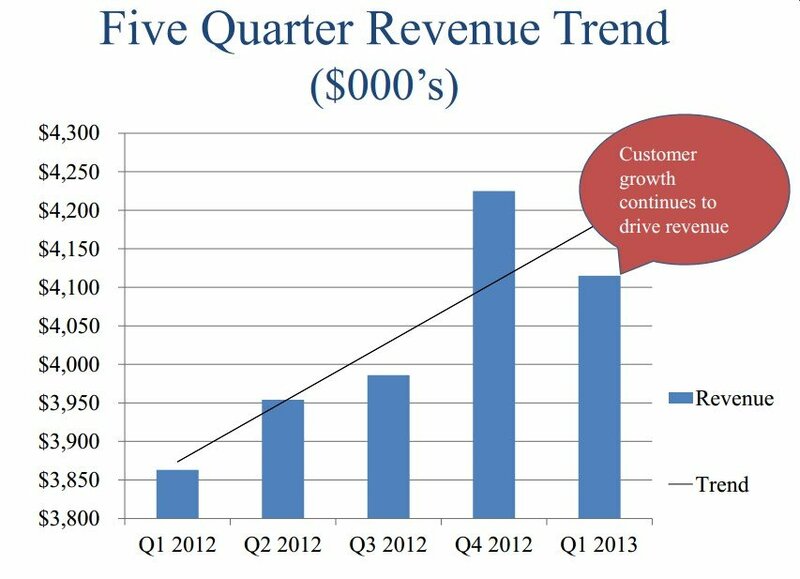 But the biggest growth in revenue year over year comes from broadband service. Last summer, MI-Connection reached another milestone — it delivered its first cash payments back to the communities that took a chance on owning and running their own telecommunications provider. Although the total amount of $277,000 was modest, and the company still has to pay down debt incurred from purchasing and upgrading the cable system, it was a symbolic victory against anti-government, anti-municipal broadband naysayers. More elusive is tracking the amount of money saved by residents finding Time Warner Cable and area phone companies ready and willing to offer stunning rate cuts in customer retention efforts. Stop the Cap! has tracked some of those offers over the past several years, based on reader input. Time Warner Cable’s retention department has offered North Carolina customers with active competition in their area prices as low as $100 a month (after taxes and fees) for triple play packages that include a free year of Showtime and 30/5Mbps broadband. Customers who only want broadband and television have been able to negotiate rates averaging $70 a month, especially after pointing out MI-Connection provides a year of its own phone, broadband, and TV service for $89.99 a month, including three free months of HBO. Sam remains a Time Warner Cable customer based on what he calls “a simple matter of economics and what my wife wants to spend.” But he still supports the fact MI-Connection is there, even though it has created some early headaches for Mooresville, Davidson, and Cornelius. “The conservatives have demagogued MI-Connection to death to win seats in local government but recently have stopped attacking it as an outright failure and are now claiming they want to make it successful so they can sell it off in a few years, probably to their pals at Time Warner,” Sam reflects. Critics of MI-Connection have help from various astroturf groups, backed largely by telecommunications companies who oppose government involvement in broadband. Particularly notorious is the “Coalition for the New Economy,” which issues negative reports about municipal broadband while burying the fact the group is funded in part by AT&T, Time Warner Cable, and other Big Telecom lobbyists. 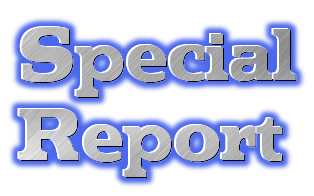 The “Coalition” issues various reports mostly summarizing news accounts about community broadband that highlight struggles and ignore successes, while concluding that community broadband is interfering with private providers trying to hurry upgrades into neglected areas. At a time when cable operators are more reluctant than ever to overbuild into another operator’s territory, something very strange is going on in central North Carolina. Time Warner Cable is moving into the neighborhood — one already receiving service from a community-owned cable operator. That would be like Time Warner moving into one of Comcast’s service areas. For some reason, those large cable companies completely avoid competing head-to-head, but where community-owned provider MI-Connection has managed to sign up around 15,000 customers for service, Time Warner Cable has also arrived. As a result, customers north of Charlotte, in communities around Davidson and Mooresville, are getting some amazing prices for cable television, phone, and broadband. Time Warner will even deliver an offer right to your front door. Susan Wagner in Mooresville got her deal when she threatened to cancel Time Warner Cable and return to MI-Connection. “(Time Warner) gave everyone a really good offer when they first came in and then drove up the price after a while,” Wagner told the Charlotte Observer. When Wagner called to cancel, Time Warner sent an employee to her door offering to slash her cable bill by $50 a month, enough to keep her business. Other residents in nearby Cornelius are also getting prices substantially lower than residents in cities like Charlotte, where many residents have one choice for cable: Time Warner. Sam, a Stop the Cap! reader in the Morrison Plantation neighborhood, noted they skipped the last few rate increases from the cable company. That leaves Charlotte residents paying $35-50 more a month than savvy customers further north can have for the asking. “It sounds like predatory pricing to me when the company offers a special low price that people like my niece are probably subsidizing on their higher bill,” Sam suspects. The Observer reports Time Warner is also laying cable in other neighborhoods, such as Heritage Green, where the cable company is soliciting business from MI-Connection subscribers door-to-door. MI-Connection’s CEO, David Auger, formerly from Time Warner Cable himself, claims he’s unconcerned about Time Warner’s aggressive overbuild of his service area. But the state’s largest commercial cable company has been signing up some of MI-Connection’s current customer base and successfully holding its existing customers in place with significant discounts on service. Since last July, MI-Connection signed up 667 new customers, but also lost 577 others, most likely to Time Warner Cable. MI-Connection was launched from the ashes of a bankrupt Adelphia Cable system acquired by the communities of Mooresville and Davidson. After investing in a needed system upgrade, the community owned provider relaunched service nearly identical technically to other cable systems. Unlike Wilson and Salisbury, where new fiber-to-the-home systems were built, MI-Connection offers a more traditional cable package. That makes competition with Time Warner Cable more difficult, but the community provider is trying. Time Warner Cable’s regular pricing in the area runs $68.49 a month for 85 basic channels. MI-Connection sells 86 channels for $61.99. But when customers call Time Warner to complain about their higher prices, the cable operator dramatically lowers them to keep the customer’s business. “The regular price only matters until you call and complain about it,” says Sam. There have been complaints, but many of them are less about the cable bill and more about politics. MI-Connection has not come cheap either town, which had to cover some of the costs of a needed system upgrade and service installation, estimated to run about $1,000 for every new customer signed. Last fall, mayoral challenger Vince Winegardner made local government involvement in broadband a political issue, saying the purchase of the cable system was a mistake. He lost his bid, but the system’s money needs remain a frequent topic of discussion in all of the communities involved in MI-Connection, and earlier this year the company company asked for $1.1 million from Davidson and Mooresville to ride out the rest of the fiscal year. Time Warner’s recent interest in invading a fellow cable operator’s service area and slashing prices for those customers has raised the question whether their overbuild is about competition or predatory pricing to drive MI-Connection out of business. Wagner doesn’t seem to mind either way, telling the Observer it is a “win-win” for her, scoring a lower cable bill with Time Warner. But Sam isn’t so sure the savings will last. “My niece is probably paying for this right now on her cable bill too, and once MI-Connection is out of the way, those prices will shoot right back up,” Sam concludes. One of the most vociferous critics of the publicly-owned cable system serving the communities of Mooresville, Cornelius and Davidson, N.C. has been exposed as an employee of Time Warner Cable. MI-Connection, the community-owned cable system, has been subjected to withering criticism since town leaders purchased it from bankrupt Adelphia Cable in 2007. The efforts to rebuild the system to current standards has proved time-consuming and expensive, and ongoing expenses will require an investment of at least $17 million over the next three years to keep the cable system up and running. Despite the fact Time Warner Cable has run into larger, more expensive headaches rebuilding similar rundown Adelphia systems they purchased in Ft. Worth, Texas and Los Angeles, critics of community cable have pounced on the costly rebuild to attack public involvement in private enterprise and suggest city officials have not competently run the operation. 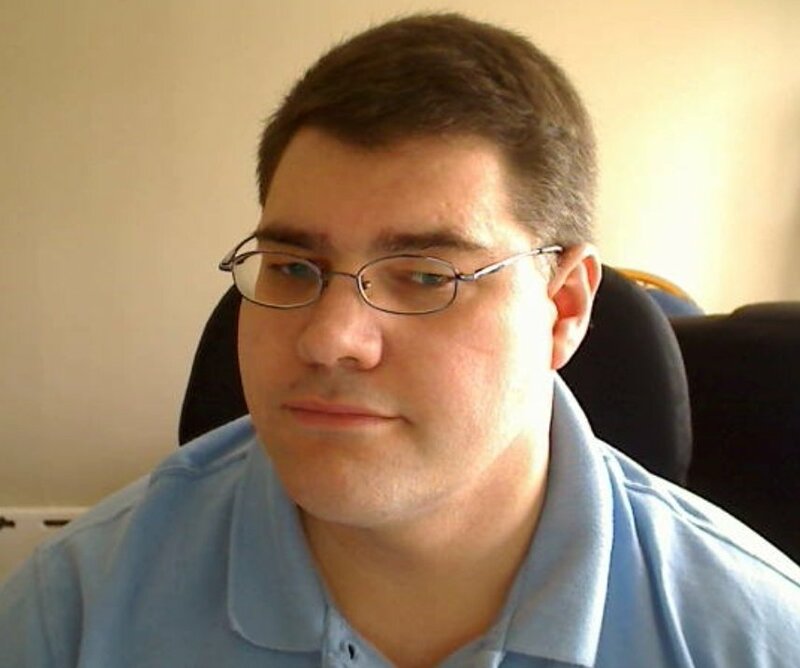 David Boraks, editor of the Davidson News, has reported extensively on MI-Connection, and he reads the comments that follow his articles published online, including those written by Stevens. In a story written today by Boraks, the Davidson News revealed a fact that consumers, the media, and local officials deserved to know — Stevens works for Time Warner Cable. That revelation comes despite repeated earlier denials from Stevens when asked by reporters and local officials if he worked for the cable company. How did the newspaper find out about Mr. Stevens’ day job? MI-Connection board chair John Venzon has gotten fed up reading unrelenting, and often fact-free attacks on the publicly owned cable system he oversees. Venzon told the Herald Weekly he used to ignore the often anonymous critics of the local cable system, but he’s changing tactics. Venzon and some other MI-Connection supporters have jumped into the online debate, correcting false information and taking on some of the cable system’s loudest critics, including Stevens. As part of that effort, Venzon decided to publicly disclose a recent encounter with Stevens at a local shopping center. Venzon was especially interested to find Stevens wearing a Time Warner Cable uniform, driving a Time Warner Cable truck. I would like to point out that today we confirmed that Andy Stevens, a frequent attendee at our board meetings and vocal community critic works for Time Warner Cable. He was greeted by one of our employees while in a TWC uniform and driving one of their logo-ed vehicles. He has been active in using our publicly available information to turn our potential customers against us and to stir up fear, uncertainty and doubt about MI-Connection while hiding his motives. He does not live in our town or service area, so he does not ‘have a dog in the fight’ unless you consider who signs his paycheck. Could I attend competitors’ regular board meetings to see what they are doing? To make matters worse, he has used the Freedom of Information Act to gain access to every communication between the towns, the board and management. So Time Warner does in fact sit in our meetings … and we are required to provide the meeting notes. In corporate America, this would constitute espionage. In our situation, it is free and legal. I find it deplorable. I hope you agree. I believe we should be required to report information just as publicly traded companies do and would adhere to all such requirement. That system promotes transparency to shareholders on a quarterly basis. In addition, we would continue to attend town board meetings and community roundtables to disclose information to citizens. In another setting, I would be happy to debate the merits of public ownership of a utility that promotes the well being of its citizens and businesses within their community. However, we are in the midst of executing a decision that was made several years ago and are responsible to grow the business. I do not mind a fair fight, and we must win based on the value of our products and services. However, don’t unfairly give advantage to our competitors and put our citizens at greater risk. Boraks has gotten an admission from Stevens he does, in fact, work for Time Warner Cable, a pertinent detail omitted from Stevens’ anti-MI-Connection blog. Before deleting about a dozen articles attacking the community cable system, Stevens even noted on the home page of his website, “As I have a full time job, this effort will be accomplished during my free time (evenings and weekends),” without bothering to disclose what that job was. His “About” section didn’t make mention of his employer either. Now that Time Warner Cable, a regular critic of community-owned broadband, has been put in the embarrassing position of having an employee indirectly do its dirty work, a company spokesman was reduced to telling Boraks they cannot control what their employees do. But apparently behind closed doors, all is not sweetness and light between Stevens and his employer. Stevens’ highly active blog suddenly was deprived of all its content after revelations about his employer made the newspaper. Bing’s cache of Stevens’ site (which Stop the Cap! has captured) shows he had plenty to say about the cable system — none of it good. That all changed today. Boraks opined in his piece in the News that Stevens ongoing denials of involvement with Time Warner Cable and his lack of disclosure left him concerned. Indeed, Stevens’ efforts to hide his employer’s identity and his subsequent decision to bring his blog down after the cat was let out of the bag suggests there is nothing for Stevens or Time Warner Cable to be proud of in their relentless, often sneaky efforts to bring community-owned competition to its knees. When it comes to protecting duopoly profits of local cable and phone companies in North Carolina, it’s total war on all fronts.